Left the house at 6:20 to get to Andrew’s Diner on Hylan Boulevard to meet up with over 35 of our individual business owners. We have become a strong referral network and should really think about joining us, because everyone’s bottom line has increased since participating in this group. And even better, its not only about the money. We have become a wonderful family that not only helps each other out, but the community as well. After a few good laughs, its off to Arden Heights to show a property to a lovely lady. I took my grandson with me to install some signs, which included “Under Contract” on Levitt and Arthur Kill Road, a “For Sale” sign on the new listing on Britton, followed by a visit to Verizon to get him a new phone. Ran over to Victory Boulevard for an hour-long open house on a lovely 3 bedroom apartment near the park, attended by nine prospective renters. Went to visit Dave at his new digs, and came home to find Frank had made me dinner. Could I love this man more? Remember friends, its always a woman’s right to firmer skin, and shoes! Started the morning with a shoe pick-up in the pouring rain, the last one of the shoe drive, from a lovely woman over near Susan Wagner High School. From there, I came to the office and tried to catch up on some paperwork with Lucy and Laurie and go over the day’s tasks. Read through my book, so I could get my day set it my head, and drove over to Dr. Bernadini’s on Old Town Road for a 10 a.m. appointment. When that was over, I came back to the office to rest my poor mouth (literally)! No lunch for me after that visit. At 1 p.m. I had a training meeting with one of my agents, then handled some real estate business, returned some calls, and connected with some of my homeowners. I took a few minutes to relax before heading over to Corned Beef and Cannolis with Frank. Even though I work this event, I really look forward to it, because it raises money for the Kiwanians and all they do. Finally back home and ready to pass out on the couch. Good night, friends. With warmer temperatures holding on, Real Estate on Staten Island is heating up quickly! This weekend, my red suede loafers took me to the Staten Island Mall for the 2016 Home Improvement Expo, presented by NARI HIC. What a great weekend with so many familiar faces, and the chance to meet some new ones. I hope you had a chance to stop by the Better Homes and Gardens Safari Realty booth and snap your photo with Roary. If you did, don’t forget to tweet your photo to @StatenIslandRltr with the hashtag #SafariRoary for the chance to win two movie tickets! With the Home Improvement Expo taking place both Saturday and Sunday, and the booth well staffed by our wonderful agents, I was able to do an open house on Saturday afternoon on a lovely home in Westerleigh on Dickie Avenue. Another great showing, and I’m sure my homeowner will be pleased with the turn-out. Just one last call for shoes! The drive will be ending on March 15, so if you haven’t already, please bring your gently worn or new shoes to our office at 1958 Victory Boulevard. Thank you to all who have donated already and helped make this shoe drive a success. Don’t forget about Corned Beef and Cannolis, and remember, its Always a Woman’s Right to Shoes! Friday begins with an early morning meeting with an old (well, not old, but established) agent, followed by an introductory training with a new agent! Our team continues to grow to meet the demands of the market, and it is very exciting to feel the energy in the Office. After a very hectic week, time to finish up some paperwork with Lucy for new listings, offers, and other Real Estate business. Then its off to St. Dorothy’s for a photo op for the great job they did on the Shoe Drive being sponsored by Kiwanis. Its not too late to donate your new or gently worn shoes! Please stop by the Safari Office with your donation, at 1958 Victory Boulevard anytime between now and Monday so we can get these shoes to those in need. This afternoon I’ll be taking room measurements for a new listing, followed by two showings, as well as a wonderful opportunity to meet with another homeowner who is considering putting their home on the market. This evening, I’m off to the Staten Island Mall at 9 p.m. to watch Frank set up the booth for the wonderful NARI-HIC home show this weekend, located at Center Court. Please join us and have your photo taken with ROARY the Lion! Upload your photos to Twitter using the hashtag #SafariROARY @SafariRealtySI for a chance to win two movie tickets. See you all tomorrow! And remember, its always a Woman’s Right to Shoes! When most people think of Fran Reali (that’s me), they think Staten Island Real Estate and unwavering community involvement. But what some of you still may not know is we have established a strong foothold (thank goodness I have the shoes for it) in New Jersey! On Thursday, on the premise that we were shopping for an additional New Jersey location, I spent the morning and afternoon with Frank enjoying his company as we spent the day in the Garden State.It was a beautiful day to look at Real Estate, and it was nice to be on the other side of it, if only for a few hours. We had a wonderful lunch at the Park Diner in Matawan, and the funny thing is that most people don’t realize how loudly they speak (judging from the booth behind each of us.) We heard stories about money owed to people from Canada for the past nine years, and an entire history of someone’s health issues and ailments. At one point I got a little upset stomach over the gastroenterologist’s findings. And unfortunately, neither of them left before we did, but it didn’t stop lunch from being great. Hopefully they don’t subscribe to my blog…lol. Please keep in mind that Corned Beef and Cannolis is this Monday, March 14! Have you gotten your tickets? Remember, Its Always a Woman’s Right to Shoes! Its 6:20 a.m., and I’m already out the door and headed over to Andrew’s Diner for my Staten Island Business Council Meeting. Without a moment to spare, my new Coach pumps will bring me to several early showings, with nothing less than a “spring” in my step! Then I’ll be attending a closing, followed by a home inspection, and more showings! I love Spring. Everything blooms, including real estate. I have a few events to announce, and I hope to see you all at these wonderful causes. First, the one most near and dear to my heart, the “Protecting One Young Heart at a Time,” 7th Annual Golf Classic, in memory of our son, Frank Reali III, on May 6, 2016 at the Grand Oaks Country Club. Please help us raise money to promote awareness for Sudden Cardiac Death, and spare other parents the grief of losing a child. Next, we have the Richmond County Kiwanis 4th Annual “Corned Beef and Cannolis!” This fun and family-friendly event is fast approaching. Join me Monday evening, March 14 at 6 p.m. I promise you won’t regret attending! And remember, Its Always a Woman’s Right to Shoes! This evening, I’ll head over to Eltingville for a listing appointment on a lovely home with inground pool. Look for that property in the coming days! I’ll grab a quick dinner with Frank, then, another training on the “Art of Negotiating,” followed by a Community Board 1 meeting at 8 p.m., at 2329 Victory Boulevard. 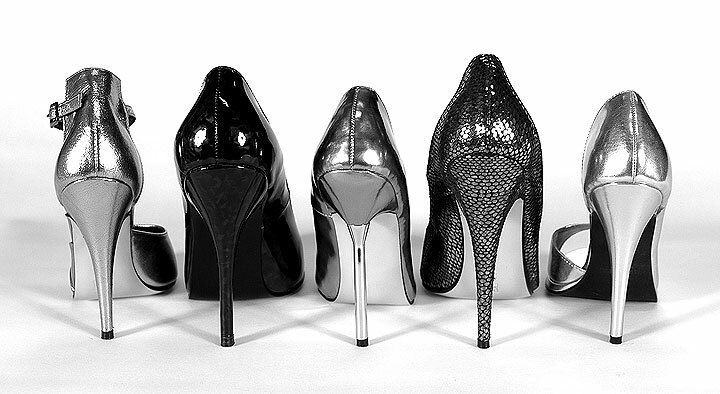 Remember, no matter what time of year, It’s Always a Woman’s Right to Shoes! Can you feel it? Spring is in the air! It won’t be long now, and I’ve got to get my shoes ready. My winter shoe days will be winding down and I will be switching over to my spring collection, which will help me navigate through this incredibly busy Real Estate season! After a super-busy weekend, Lucy and Laurie have got their work cut out for them this morning. Laurie is fielding the phone while I work with Lucy on a mountain of paperwork before an early morning conference call. I left the Office to pick up mom for some quality time and a lovely lunch at the Staaten on Forest Avenue. Back to the office to finish a Broker Price Opinion for a lovely couple in New Jersey that is considering selling their spectacular home in a luxurious 55+ community. Keep your eyes open for that one. Its going to knock your shoes off! Took a break for a quiet time with Frank to recharge my batteries, and then left to enjoy a lovely dinner with my Kiwanis group at LaFontana on Amboy Road. I am more impressed with this group every week. The philanthropic work being done is truly heart-warming. Please keep in mind that through March 30, Kiwanis is collecting gently used and new shoes (for both underprivileged adults and children). If you would like to be a part of this wonderful cause, please deliver them in plastic bags, rubber-banded in pairs, to 1958 Victory Boulevard, our Safari Real Estate Office. Corned Beef and Cannoli’s is right around the corner, so get those tickets today. And remember, It’s Always a Woman’s Right to Shoes! Please join me for an incredibly fun-filled evening on March 14! Tickets are going quickly, so get yours today! And don’t forget, please keep in mind that through March 30, Kiwanis is collecting gently used and new shoes (for both underprivileged adults and children). If you would like to be part of this wonderful cause, please deliver them in plastic bags, rubber-banded in pairs, to 1958 Victory Boulevard, our Safari Real Estate Office. We can also pick-up! Started out early with Laurie, capitulating the weekend, which was WILD! Saturday was another full day with showings out on the South Shore, followed by an outstanding open house at 442 Arthur Kill Road. With over 12 families attending, multiple offers, and a solid acceptance, I’d say we had a successful day. Onto another property to have an acceptance signed, followed by a lovely dinner out with Frank. After, we enjoyed some quiet time with some of our grandkids (if you can call that quiet). Had a slight reprieve early Sunday morning. I met up with some of my other grand-sons…Frank, Nick, Jesse and David, who helped me put out 14 open house signs, with balloons, for the property at Dickie Avenue. Again, we had an outstanding reception with two offers, which we are still working on. The evening brought me to Susan Wagner’s year-end Football Dinner at La Greci’s Staaten on Forest Avenue, with over 300 people in attendance. It was great to see a lot of old friends and make acquaintances with a lot of new ones. It was a little bittersweet, as it is every year, when our son Frank’s Memorial Award is given out at the end of the evening to an outstanding young line-backer who also receives a scholarship from our family in Frank’s name. By 11 p.m. I was delirious and needing sleep, but Frank was driving, so that was OK. Here it is Monday already, and I’m working some things with Laurie. I met with my buyers Heather, and her wonderful husband who calls himself “the checkbook,” to do a re-show with their architect on an outstanding piece of Staten Island property. Came back to the office to button-up a few things, went over to Red Robin for a luncheon date with an old friend, Concetta, whose boys grew up with our boys through St. Teresa’s and the outstanding basketball teams of those years. We ate, laughed, and discussed real estate business. I ran over to Arthur Kill road to get an offer signed. The it was back to the office to meet with one of the agents to put together a 2+ million dollar offer. I got on the phone to speak with a few attorneys, and then pranced out around 6:30 to get to LaFontana to meet with my Kiwanis buddies for fellowship and fundraising info, which includes the Corned Beef and Cannolis event this month. And we’ve extended the deadline, so its not too late to join us!